This is Kyanite Glass/ Nano/ Hydro.This is made on order at our factory in Jaipur. 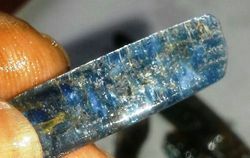 Kyanite Cabs is available in loose and free shape size in stock. But we can also produce them on order in calibrated shapes & sizes. Our range of gemstones beads includes faceted beads of Kyanite that are prepared and polished by the progressive abrasion using finer grits of harder substances. 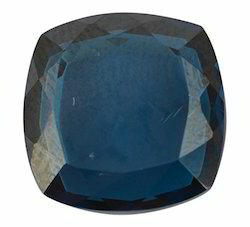 These are extra rich blue color can clarity and are available in a medium size as well as in small sizes. With the constant support of our dexterous crew of professionals, we are fulfilling the varied requirements of clients by manufacturing and supplying optimum quality Kyanite Gemstone. - Widely used for designing jewelry.